Uncategorized > How do I know if I have an ice dam? Ice dam problems usually occur after heavy snowfall and several days of freezing temperatures. Ice dams are ridges of ice that form at the edge of a roof and prevent melting snow from draining. Ice dam problems usually occur after heavy snowfall and several days of freezing temperatures. 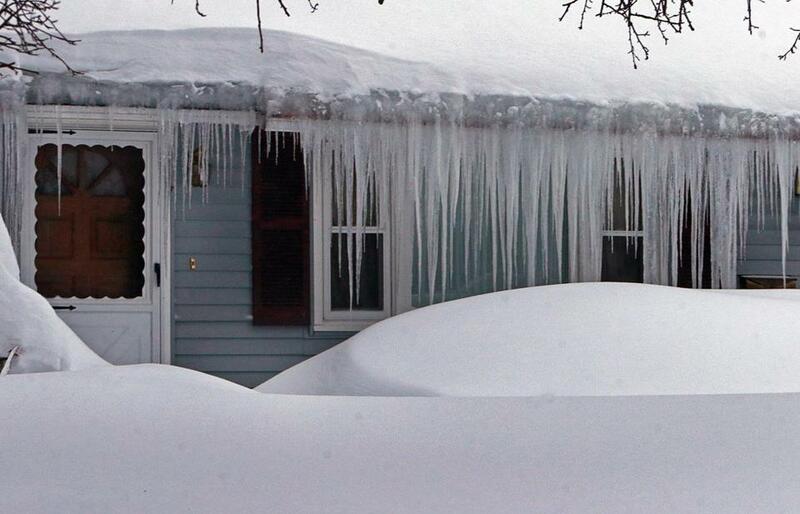 The past few weeks in Massachusetts have been a perfect storm for ice dams. Ice dams form as a result of warm air inside your home leaking into the attic and warming the underside of the roof, causing snow and ice to melt. The melted water will drain along the roof, under the snow, until it reaches the cold overhang. The overhang tends to be at the same temperature (below 32 degrees) as the outdoors, and the melted water will refreeze and form icicles and possibly an ice dam. The draining water hits the ice dam, backs up under the roof shingles, finds cracks and openings in the roofing, and eventually manifests itself as an interior water leak. 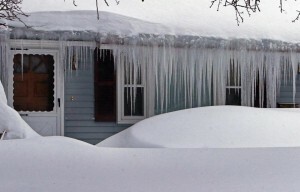 Do those giant icicles on my house mean I have an ice dam? Should people be worried about icicles? They are a part of winter, and pretty, but when the icicles hanging from a house are large (2 to 3 inches or more in diameter), that is a sure sign that ice dams are forming. By the way, large icicles are a byproduct of ice damming, and banging them off your house does little other than risking window breakage and personal injury. Leave them alone unless they are threatening people and property below. Gutters and the guards that keep leaves out of them have nothing to do with ice dams. Using a roof rake to clear the snow from the first three to four feet along the roof edge is a great way to prevent ice dams. This should be done immediately after it snows. Roof raking eliminates one of the ingredients necessary in an ice dam recipe and is BEST done before the ice dam forms.